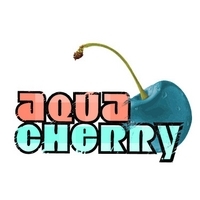 Amidst a heavy schedule of Manhattan gigs and festivals in New York and Miami, Aqua Cherry returned to the studio to record 10 new tracks for the full length album Drowning in the Shallow End. The new album is diverse, high-energy, and showcases a wide range of musical styles; funk rock and reggae tunes blend with tender love songs and arena rock anthems for an immersive rock and roll experience. Together with the acclaimed So Pretty EP, Drowning in the Shallow End makes good on a promise to keep bringing fans a lot of great music to enjoy. On stage, Aqua Cherry is all about enjoying the moment with their fans. Drummer Chad White brings an infusive energy that radiates through Brian Bethke’s soaring guitar solos. Stu Suchit's intoxicating bass grooves converse with the thoughtful and playful lyrics of vocalist Derick Gross, inviting you to sing along while you dance the night away.